April16 8-9pm Live In-Studio Interview. Brandi was diagnosed with bipolar disorder at the age of 30. She struggled for 10 years to reach a life with managed stability. Through these years, she knew there had to be an easier way to maneuver the constant ups and downs of her illness. She found her way when she started to do nutritional research at the Institute of Integrative Nutrition and realized the healing power of food. This holistic approach towards her illness empowered her and those whom she serves today and manage bipolar disorder. 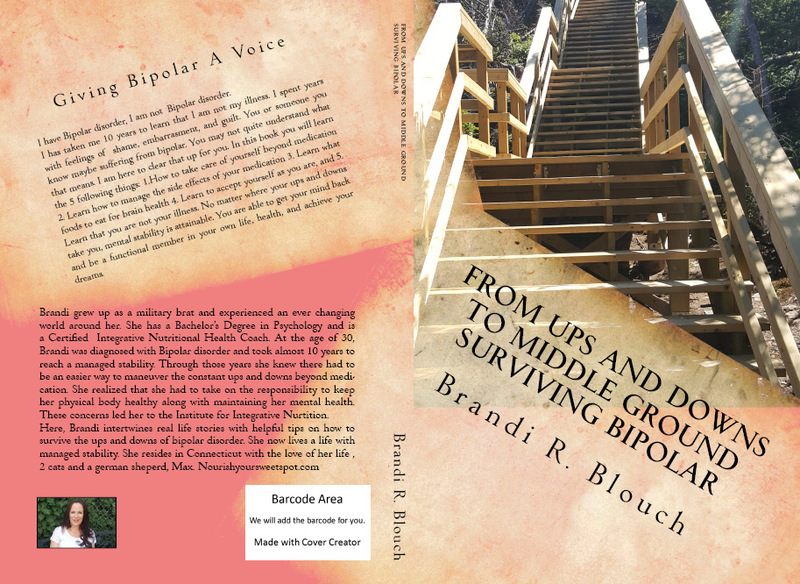 Brandi is the best-selling author of “From Ups and Downs to Middle Ground”, Surviving Bipolar. In this book, she intertwined real life stories with helpful tips on how to survive the trepidations of bipolar disorder. Brandi has a B.S. in Psychology with minor in Rehab. Counseling. She is also certified as an Integrative Nutritional Health Coach. Brandi believes that no two people are the same, nor do they take the same journey through life. She is a supportive mentor and wellness authority who works to help others feel their best. She provides a safe environment where you can share your struggles and be assisted to have a healthy relationship with yourself and the world around you. and our medicine should be our food"